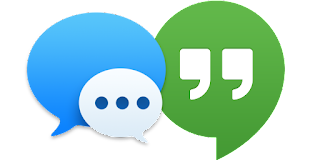 I have used Facebook Chat a few times now and think it is only an update away from disrupting the incumbent Instant Messaging products (MSN, Yahoo!, GTalk, ...). With the introduction of Facebook Chat I have found myself in discussions with people that I do not currently have on any of my IM clients and haven't chatted to in years other than very asynchronous messages now and then. Due to the large community of Facebook I think this has the potential to therefore really be useful to many. then I think we will see a decline in IM client use or IM client vendors rapidly trying to provide a frontend for Facebook. With Microsoft's investment in Facebook, perhaps there is already work going on behind the scenes in this space already. Totally agree. The walled garden of Facebook is definitely not ideal.